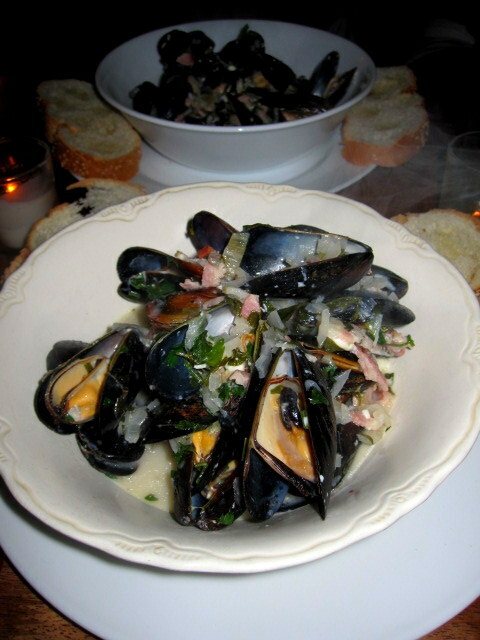 Mussels with bacon and blue cheese. but it is also extremely simple to make. Before you start cooking, make sure you prep everything by cutting up your shallots, bacon, and blue cheese and measure out your wine. Then add a cup of the wine and half of the parsley and blue cheese. Once the blue cheese has melted, add the remaining wine and salt and pepper to taste. When the pot's contents comes to a boil add in those sparkling clean mussels! 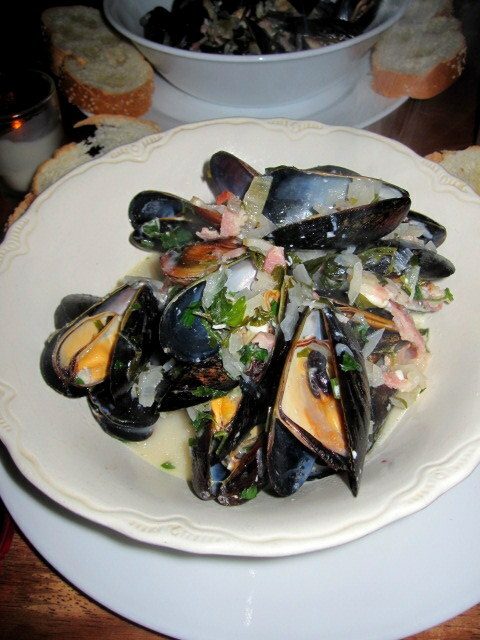 The mussels will quickly open after 4 to 5 minutes. 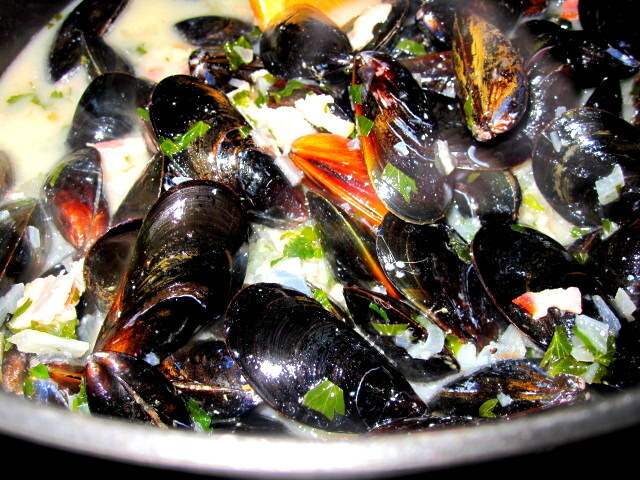 Make sure to stir the mussels every minute, as the mussels on the bottom will cook first. Don't those little puppies just look divine?!? When you plate the mussels make sure you pour enough of that sauce and the extra goodies over the mussels so you can soak it all up with some delicious bread. Grab a fork, bring your appetite, and get ready for an unforgettable feast, my friend! Let me know what you think of the recipe once you've tried it for yourself!